** BACK ON THE MARKET** Financing fell thru. 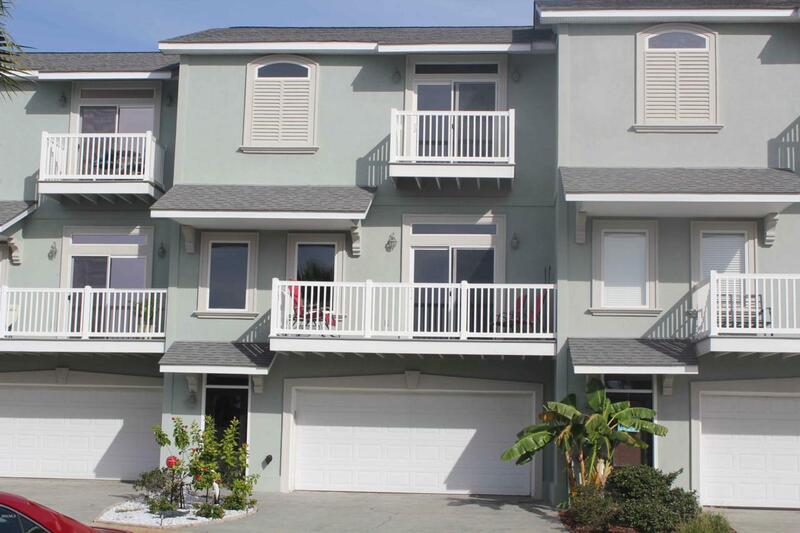 This condo is just seconds from the beach and has beach views from ALL windows. Enjoy sitting on either deck from the living room or the master suite admiring the coast sunrise or sunset and enjoy your morning coffee or that evening glass of wine while doing so. This unit has had many updates that the owners have done over their time of possession. The list of updates and time line can be found attached to the PCDS. This is an amazing condo with the feel of a townhouse or home. Two car garage and an interior lift that makes carrying groceries to the other floors easy. The backyard is beautiful and waiting for you to grill and enjoy the beautiful coast views. All appliances including the washer and dryer are being sold with the unit.Don't let this one get away from you, make you showing appointment today. Listing courtesy of Mark J Montet of Keller Williams.